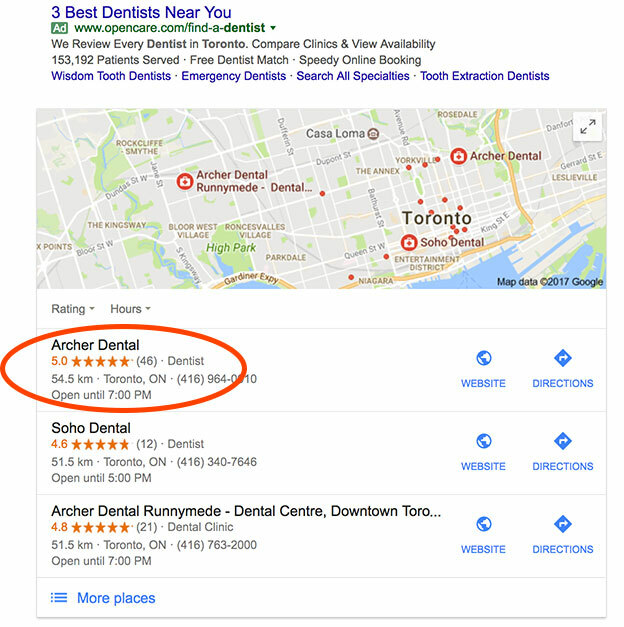 How to Double the Number of Google Reviews From Your Patients in Next 30 Days? Grow your Google Local Reviews with our FREE Google Review Handout. 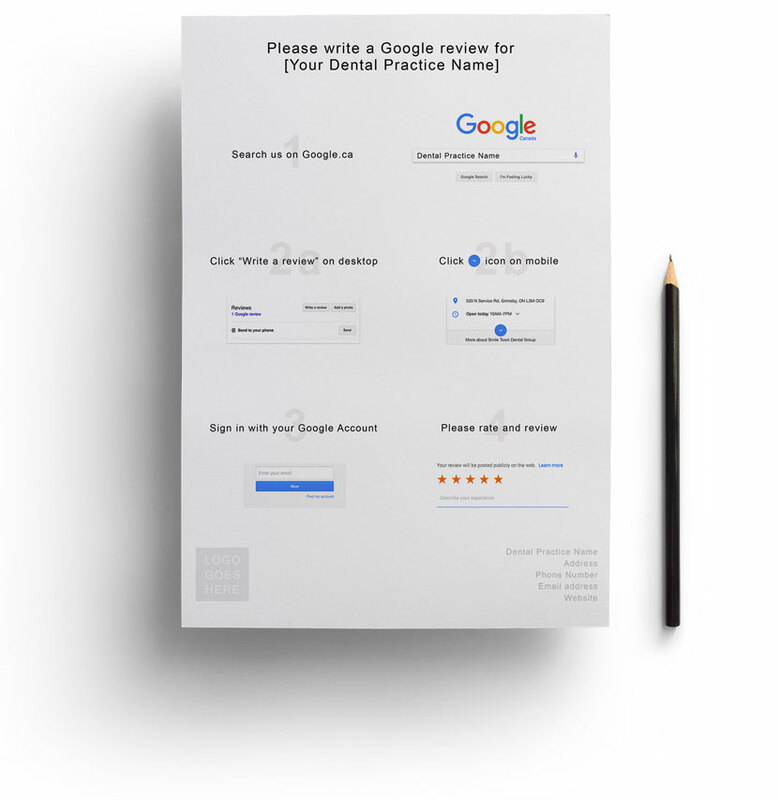 Have you ever asked your patients to write Google Reviews? Have you ever thought they could be beneficial to your Dental Practice? Getting online reviews doesn’t have to be hard. You just need a quick and easy solution to ask your patients for a review and a simple step by step guide for them to make the process a breeze. Our FREE Google Review Handout solves both of these issues. It’s easy and convenient. Just download, print it and hand out to you patients. Increase the number of patients you see every month. Reviews do the marketing for you! Understand your patients. Better serve your patients by understanding their needs. Give your patients a voice. Make them feel like a part of the family and give them a voice that can initiate changes within your practice. Customize it free of charge. We love helping Canadian Dental Practices, and we are happy to add your logo and address of your practice free of charge.